In in the Spring of 2016, I was fortunate enough to present at the University of Puget Sound on running analysis as part of an ACSM conference. After the talk, a fellow came up to greet me. Turns out it was Golden Harper, who heads up Altra, which is a running shoe company best known for their wide toe box and having coined the term”zero drop.” A few weeks later, I received a box in the mail. Turns out Golden had personally shipped me a pair of Altra Torins and Ones (VERY KIND & UNNECESSARY!). I love them both and actually ran one of my fastest half marathons in the Ones during the 2016 Victoria 70.3. In this video, I take you through a simple screening process while going over certain key features of the Altra Torin shoe. Enjoy! By no means did I develop this test though it’s worth incorporating it in to your shoe screen, especially if you work with runners. All you need is a level platform or countertop and you’re good. Make sure to look at both the left and right shoe. Oftentimes, it’s worth giving the shoe a clockwise and counterclockwise twist while holding the heel and toe box of the shoe before reassessing. Both the left and right shoe should behave in a somewhat similar manner. At day’s end, running has relatively few equipment requirements so screening your gear is easy. It’s also worth mentioning that it’s important to watch how the shoe behaves under the loading of running. Running has relatively few equipment requirements. Most runners prefer to wear shoes as opposed to going barefoot. It’s therefore important to become better familiarized with shoe considerations and simple screening measures. Consider this, if you purchased a new bike, wouldn’t you take the time to make sure that the tires had the appropriate air pressure and the brakes were functional before taking it for a spin? 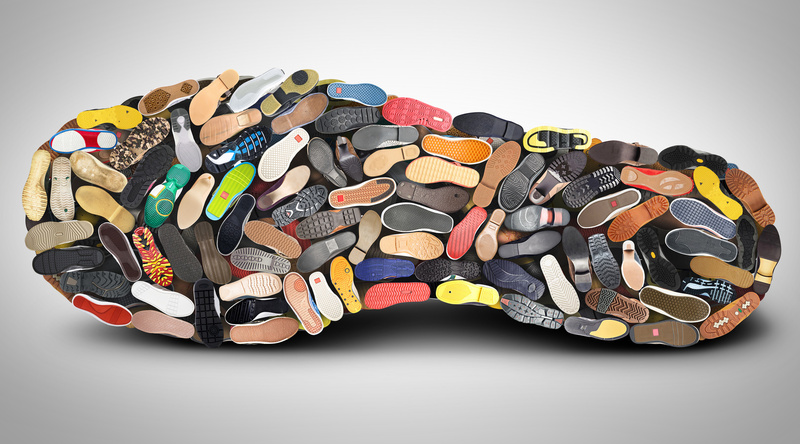 Shoes should be treated in a similar manner. Anytime you go to purchase a pair of shoes it’s worth taking the time to screen them for manufacturer’s defects. In this video, Bruce Wilk takes you through a simple set of running shoe screening tests. It’s important to bear in mind that with minimalist shoes less material is used and naturally some of these tests will be positive. Therefore, most of the tests in this video are specific to regular trainers rather than minimalist shoes or racing flats. This is an interview that aired on ABC several years ago featuring physical therapist and running expert Bruce Wilk. Despite the seemingly outdated nature of this video, many of the concepts and principles still apply when buying a pair of shoes. As you will soon appreciate, quality control measures are not bulletproof and lemons can still make their way to the shelves of shoes stores and eventually on to your foot. So become an informed consumer and keep this piece in mind the next time you go to buy a pair of shoes. It’s also worth mentioning that most running shoe stores will readily take back a pair of shoes, especially in the internet age because they can’t afford to lose customers.